This is a Sulphur-Crested Cockatoo. They live for 20-40 years in the wild but can live for 100 years in captivity. 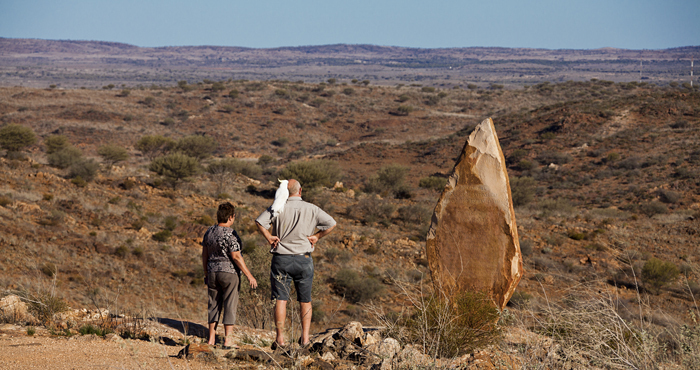 This bird had the best of both worlds as it was on a road trip with its human family when we met them on our Broken Hill trip in 2014. 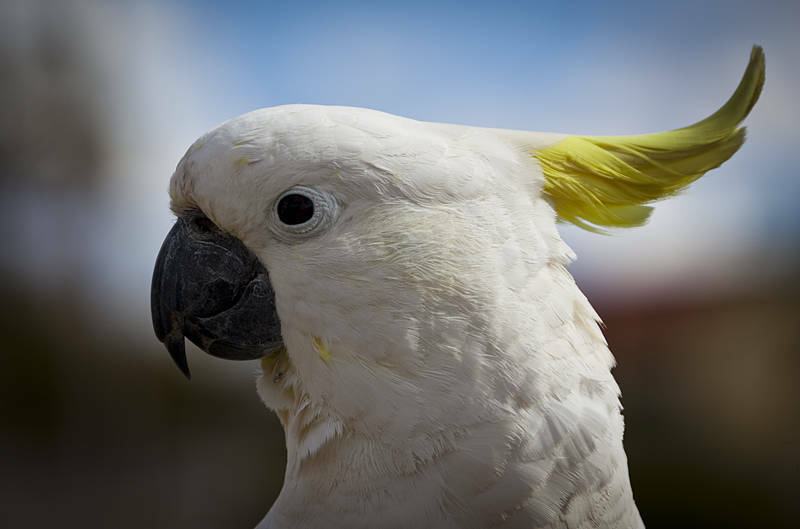 The head shot of the cockatoo has been accepted by Shutterstock for Stock Photography and is available for download here.